This set contains 134 gridless tiles at 2000 x 2000px resolution that can be put together to create a map, or use separately as well. You can find the Grids to put on top on the website as well should you need them. 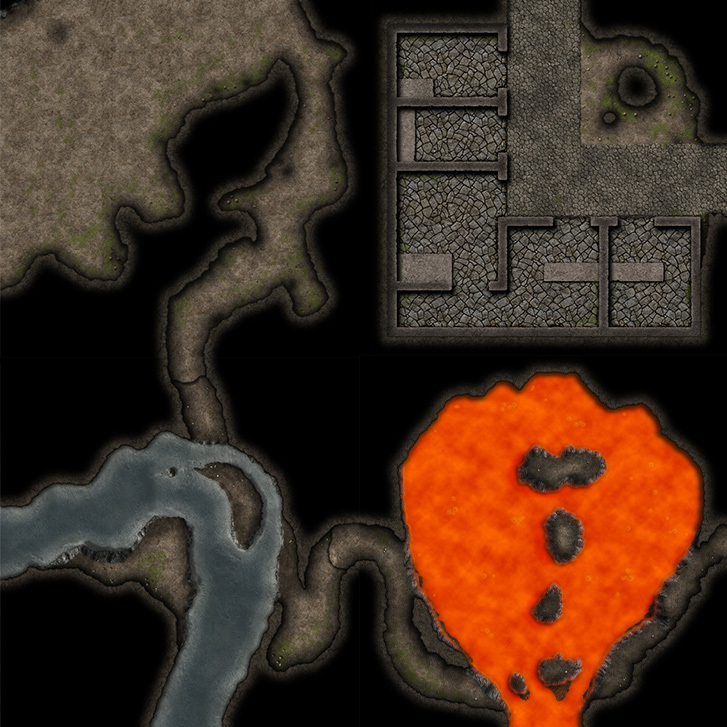 Inside you will find caves, paths, constructions, underground rivers and lava organized in folders.